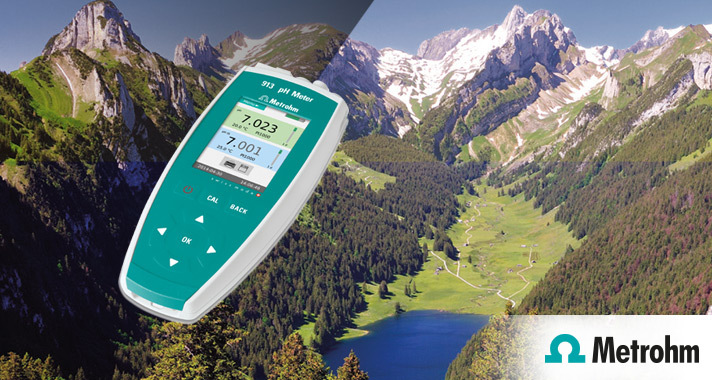 Win a Metrohm pH Meter with your oldest running Metrohm instrument! Win an ultra modern Metrohm 913 Portable two-channel pH measuring instrument for measuring pH/mV and temperature. You will be optimally equipped for measurements in the field and in the laboratory. 75 years ago, on April 1, 1943, Metrohm commenced operations with a handful of employees in the Swiss town of Herisau. Heading the team: the two friends Bertold Suhner and Willi Studer. Together with their team, they planned to manufacture measuring devices for high-frequency engineering and telecommunications. The two friends did not choose an easy moment in history to found their company; the Second World War was raging, and money and materials were scarce. But the employees supported the company, and were eager to join forces and create something meaningful. Perhaps it was this test of stamina during the initial difficult years which laid the foundation stone for the later success of the company. Today, we are known the world over for our excellent products and support. 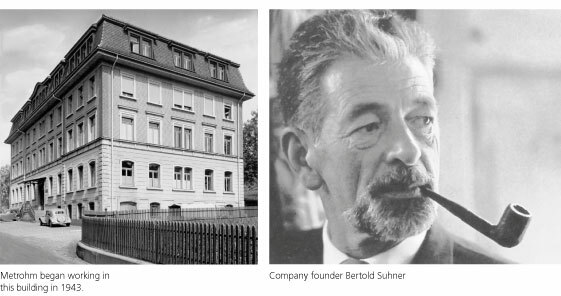 The magazine “75 Years Metrohm” explains in great detail how this excellence was formed over decades based on the values of our founder – Berthold Suhner. Win a Metrohm pH Meter! As part of our celebrations we are looking for the oldest, running Metrohm instrument in Australia/ New Zealand and will reward the owner with a brand new pH meter. Simply send us the Metrohm product number with your details to info@metrohm.com.au or use the form below before September 30, 2018.